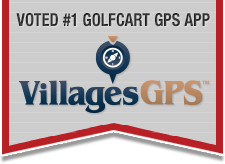 Talk of The Villages Florida / Talk of the Villages Forums / The Villages, Florida, Non Villages Discussion / Did you find a sand wedge ??? Did you find a sand wedge ??? My husband lost a prized & sentimental sand wedge on #6 at Saddlebrook last night. If you found it would you please call 430-0101. I assume he called the starter shack last night and today to see if someone turned it in. Yes, we called this morning but of course no one had turned it in. Last night we were with a neighborhood group so I know someone would have said something then. He KNOWS he left it at #6 bunker as he laid it down to congratuate a fellow player on a great shot over the bunker to the green...in the dark!!! I'm PRAYING that an honest Villager found it and will call us. It means so much to him. You might call the starter shack again and ask them where the greenskeepers would turn in lost clubs. It might be the closest country club or maintenance barn. Thanks BogeyBoy...that is a GREAT idea and I will do that. I'm still praying that someone with a "twinge" of honesty will turn it in or call us. Hope it finds it's way home. Let us know, ok? You might ask those you were playing with to look in their golf bags, with the excitement of the "great shot", someone may have accidently picked it up and put it in their bag. This happed to me once in a mixed doubles scramble and our playing partners picked up my club. I sure will let you all know if it shows up, however as of this morning...no calls. When we had stuff stolen in Hawaii we went to the swap meet and bought most of it back. Then we told the cops. Wow Trudy...how SAD is THAT, but glad you called the Police. Hopefully the "culprits" were apprehended.